WEA, also known as Worldwide Expatriate Association, is one of our top international career insurance companies with strong insurance plans for our expats residing overseas. WEA, Azimuth, GeoBlue, and IMG are some of the international insurance companies Good Neighbor Insurance provides to our guests. 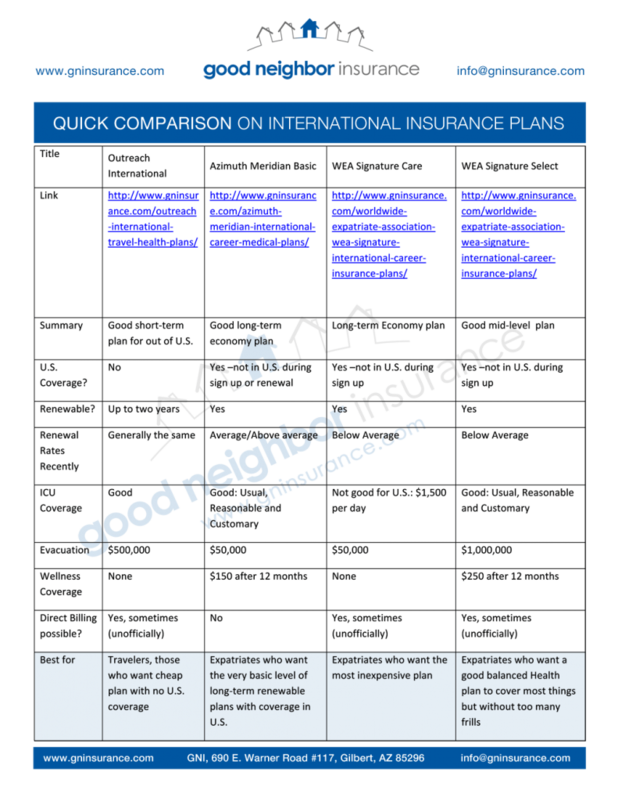 Below is a quick snapshot of four of our international insurance plans. Take a look at them and call any of our international insurance agents/team members on what investment will work best for you and your family.